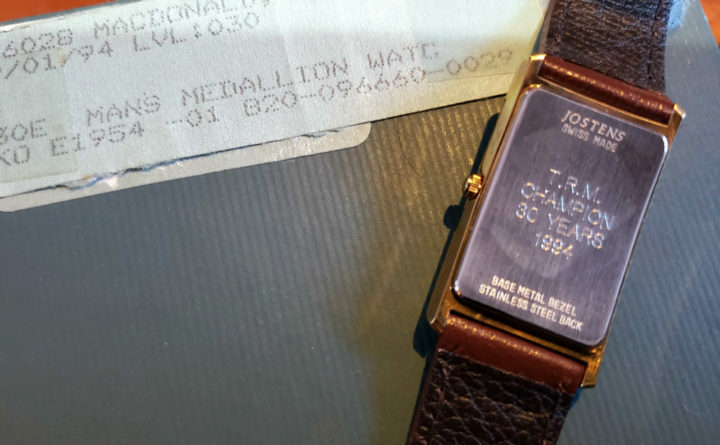 The watch that Arline Lamarche found at her home in Prospect finally went to its recipient, Tony MacDonald -- 25 years after he retired. A union president at the former Verso Paper mill in Bucksport, Lamarche soon recognized what she had stumbled across — a retirement watch. The watch celebrated 30 years of work at the mill, which was owned by Champion Paper at the time of the employee’s retirement. International Paper bought Champion in 2000, and International Paper spun off Verso Paper Corp. in 2006 before the mill closed permanently in late 2014. TRM, Lamarche recognized, were the initials for Tony R. MacDonald, a machinist foreman who retired in 1994. Lamarche took to social media Thursday and quickly tracked down MacDonald, who lives in Orrington. She gave him the watch on Friday. Her Facebook friends applauded the work. 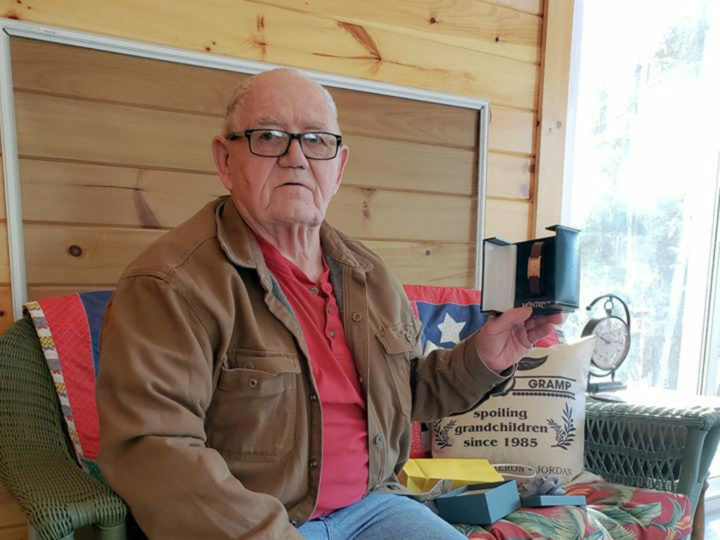 Tony MacDonald of Orrington with a watch he recently received for working 30 years at the paper mill in Bucksport. Lamarche explained why MacDonald didn’t get the watch sooner. Speaking through Lamarche, MacDonald declined to comment. MacDonald’s daughter, Tracey MacDonald, told Lamarche that her father was glad to receive the watch. “It means a lot to my dad and family that you reached out and presented him with his watch,” she said on Facebook.